With our Annual Luncheon approaching in October, it’s time to measure the impact of Southern Minnesota Initiative Foundation’s (SMIF) dollars across our 20-county region. Through loans, grants, and hours of technical assistance, SMIF invested $5.5 million dollars in southern Minnesota this past fiscal year, up about a million dollars from fiscal year 2014. Our growth was driven by gains across all of our program areas. For example, we added eight community-driven funds; six of SMIF’s community foundations capitalized on a major gift match to build their endowment funds; SMIF’s newly established equity fund supported four early stage business investments; we assisted over 35 small businesses through loans and technical support; loan volume to small businesses increased; and we greatly expanded our early childhood efforts through two new grants to help us build an Early Childhood Dental Network and our Quality Child Care Program. None of these program gains would have been possible without our strong network of regional partners and stakeholders. While $5.5 million is a large number, our investments are relatively small. With harvest season upon us, I’m reminded how similar the work of SMIF is to that of a farmer. We plant small seeds through our incentive grants and small business loans and equity investments, then watch these seeds take root and thrive. In order to make these investments, we rely not only on our Foundation’s endowment, but on the nearly 300 donors who make our work possible. Local donations make up about 10 percent of the Foundation’s annual revenue. While this may seem small, it’s important to mention that for every dollar contributed locally, SMIF is able to leverage another $10. That is why the local donations by community members, banks, businesses and government entities are so vital. The seeds we’re sowing are a crucial part of our region’s long-term sustainability. Our local donors also know that SMIF manages its budget prudently. At SMIF, we work to keep administrative costs low, which results in 90 percent of the money we receive going directly to our community-based projects and activities. Whether or not you are a current SMIF donor, I urge you to spend a little time researching the many ways to align your values with your investments. 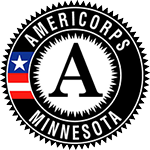 If your passion is for supporting our next generation, donate to our Youth Trust Fund or consider becoming an AmeriCorps Member. Perhaps your passion is supporting small businesses; consider becoming a mentor through our SCORE Network or giving to our Entrepreneur Fund. If you’re a farmer looking towards retirement, check out SMIF’s Farmland Retention Program. If you are a local food enthusiast, consider supporting the upcoming Feast! Local Foods Marketplace event. To support our work across all programs, you can donate to our General Endowment Fund. Whatever your motivation for giving, we encourage you to become part of our collaborative network for regional growth.